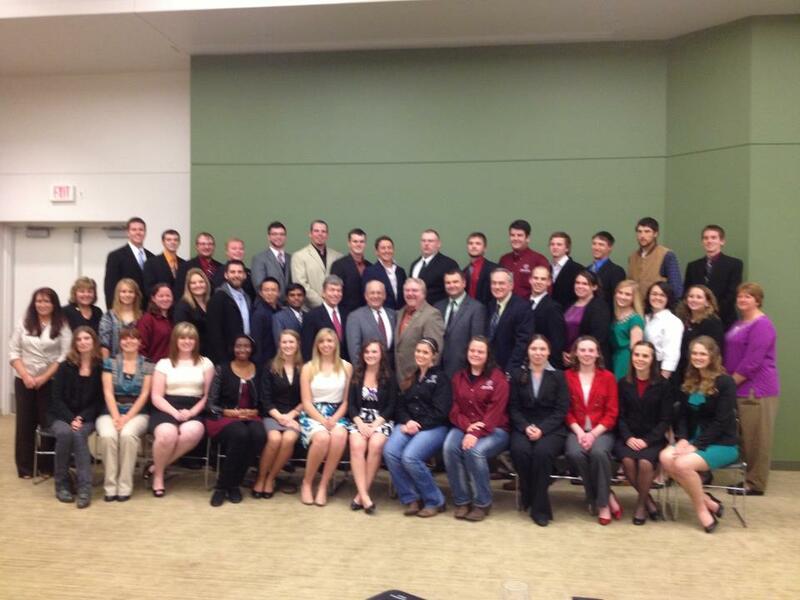 The 2013 Missouri State University Agriculture Forum hosted by Missouri State Collegiate Farm Bureau was held at the Christopher S. Bond Learning Center last week. The forum is an evening of speeches about topics that are relevant to the agriculture industry and that gives the general public a chance to ask questions to their political leaders. The forum began with an address from Mr. Clif Smart, president of Missouri State University, touching on the accomplishments of the William H. Darr School of Agriculture as well as an introduction to the main speakers. Following President Smart, came Senator Roy Blunt. He spoke about tax issues and policies that Congress could enact to avoid further financial problems. He also touched on Health Care Bill as well as energy, in which he spoke about the vast amount of resources held by the United States in oil. Dan Cassidy from Missouri Farm Bureau followed Blunt in speaking about the Right to Farm and Ranch Bill. He spoke of the bill’s passage through the House of Representatives, but also pointed out that the bill was weakened in the Senate. Cassidy said that he hopes to have the bill on the 2014 ballot. In addition, Cassidy touched on health care reform. He stated the fact that a one percent increase in taxes would produce $700 million that would provide care for Missouri roads. To wrap up the evening, the audience was given the opportunity to ask questions of the speakers. The audience provided challenging questions about the Farm Bill, energy and international trade.